Vote forMission Beach, QLDTop Regional Destinations Which are Australia's must-visit destinations? You help us decide. This Queensland gem located in the Cassowary Coast region is a tropical oasis and viable alternative away from the larger, more populated tropical north Queensland destinations. Mission Beach has a small resident population of around 4000 meaning you'll feel like a local as you lounge on the beach and stroll its gorgeous surrounds. Located between Townsville and Cairns, Mission Beach is a popular holiday destination for locals and an up-and-coming one for interstate and international tourists. Mission Beach's lack of commercialisation is what gives it its appeal, with a total of four beach villages providing you with that isolated, secluded and exclusive feel travellers yearn for in a tropical getaway. South Mission Beach, Wongaling Beach, Mission Beach Village and Bingil Bay are all joined together by a 14 kilometre stretch of idyllic golden beach. A quaint town blending beachside living with a thriving cultural scene you can choose to take it easy and spend your days relaxing on the beach or use it as a base for exploring the famous surrounding regions. Some popular nearby attractions include Paronella Park and Mamu Tropical Skywalk while extreme activities in the area include skydiving over the beach and rafting down the Tully River rapids. The various accommodation options in the area make it easy for you and your partner, family or friends to stay in this paradise for as long as you like. Located in close proximity to both Cairns and Townsville it also acts as a great hub from which to explore the region without the annoyance of large crowds. Mission Beach is an incredibly beautiful part of Queensland, and much like its neighbouring regions along the east coast, it offers visitors some incredible aquatic opportunities. As the closest mainland hub to the Great Barrier Reef, you can be in the water exploring in just over an hour boat ride. Snorkelling and diving are both popular activities on the Great Barrier Reef while fishing, relaxing and swimming are popular on the mainland. The various eateries, shops and beauty salons and spas all add to the experience and make visiting the region a memorable journey. If you've been wanting to visit the Great Barrier Reef and Tropical North Queensland but shudder at the thoughts of large crowds and commercialisation, then Mission Beach is the perfect compromise for you. Looking to pay a visit to Mission Beach but not sure what to do? Here are some of the most essential experiences. 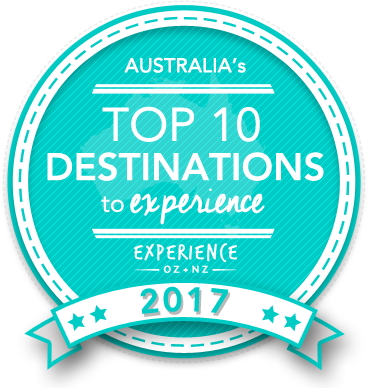 Is Mission Beach Australia's Top Regional Destination to Experience for 2017? Vote now for the chance to WIN an epic trip to one of Australia's top destinations!